After much anticipation, Xiaomi entered the UK market last week and everyone took note because the Chinese giant offers some quality products at affordable prices. The UK is also one of the biggest western markets in Xiaomi’s roster, but it has already landed itself in hot waters. 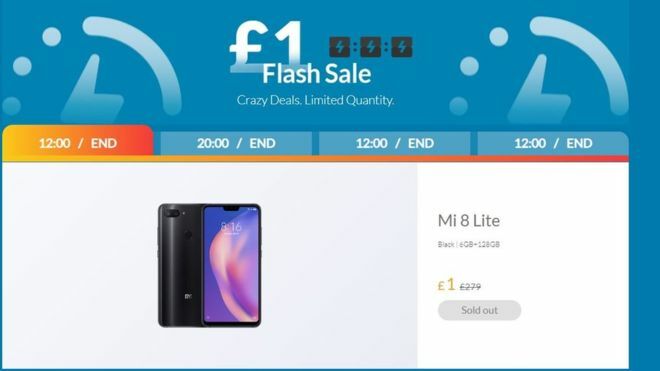 Yes, Xiaomi has managed to mess up its expansion to the UK market with its crazy flash sale deals. To celebrate its launch in the region, the company decided to offer two of its phones, i.e Mi A2 and Mi 8 Lite, at merely 1 GBP (￡1 or Rs 95), but many prospective buyers found there was a huge catch, which people in India would be more than familiar with. The Chinese giant put up just two or three units in each of these ‘crazy deal’ flash sales and the devices were marked ‘sold out’ as soon as countdown for the sale ended. While Indians and those in China might be used to this frustration, it’s an entirely new thing for those in the UK. 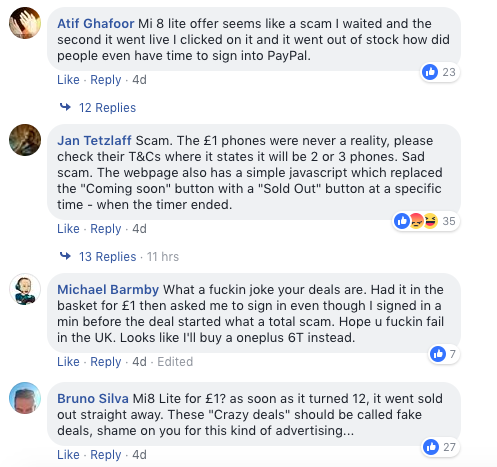 Complaints followed soon after on Xiaomi UK’s Facebook and Twitter handle. The UK ads watchdog has received a complaint as well, which means Xiaomi could be investigated for false advertising, which is a major deal in the UK, unlike in India or China. As pointed out by the BBC, people directed their anger at Xiaomi because they did not mention the number of devices available on offer. Xiaomi buried this fact in the terms and conditions, accessible only via a link at the bottom. Xiaomi’s terms and conditions also said buyers would get the phones on a ‘first come, first serve’ basis but later said that it used a tie-breaker to chose who gets the phone from the many that clicked on buy. Xiaomi has also addressed the anger, confirming that a mere 10 customers managed to buy it. But it does show the company in a terrible light, especially because criticisms around such sales tactics have been around as long as the company itself. It also calls into question the boastful claims after every flash sale of how units were sold out in seconds – can we expect anyone to take this seriously anymore? It’s great to see Xiaomi expanding to newer markets after building a cult following in markets such as India, Indonesia and China. However, the controversy does shed light on one major problem and that is the Chinese giant may need to rethink how it approaches these new Western markets. India is only now trying to place consumer-protection regulations on e-commerce sites, which lets manufacturers go haywire with false advertising. It’s simply not possible in the UK. It’s clear that Xiaomi cannot hide behind flash sales and crazy promotional offers in UK and the likes. The more stringent advertising and consumer protection laws in the UK make this difficult. Then there is the question of how people in these markets buy phones. In the UK, US and to some extent in Canada, there are designated shopping seasons around new phone launches, unlike in India, where a phone is launched every week to huge hype. In these markets, not everyone has the time or patience to wait another week before getting a new smartphone. We have time and time again reiterated that flash sales are a deterrent for consumers, and Xiaomi appears to be working to fix this pain point in India, and completely eliminate them. It’s already realizing that this is not the best approach for sales. To repeat this in the UK seems to be a little too foolhardy.